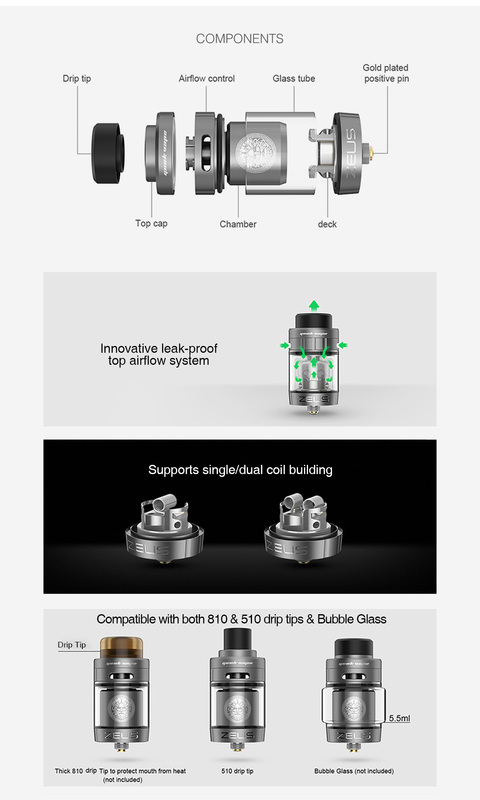 Compared with its predecessor, the GeekVape Zeus Dual RTA supports both single and dual coil building. It comes with 5.5ml juice capacity for ample liquid storage. The postless build deck provides an easy way for building too. 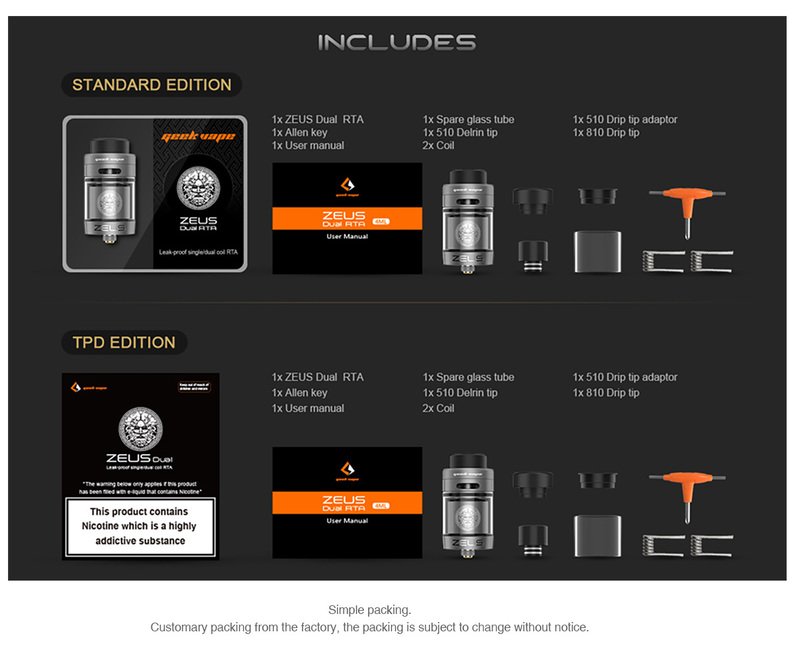 The GeekVape Zeus Dual RTA adopts innovative double chimney design, making more air inlet with smooth flavor. The Zeus Dual also features improved top airflow design and simplified refill system for quick access. No hesitation ,just take it home!